Advocate Nelson Chamisa has been packing rallies, very clear in those rallies the colour is red and only in few areas of Matabeleland and Midlands where you see red and a few green colours. 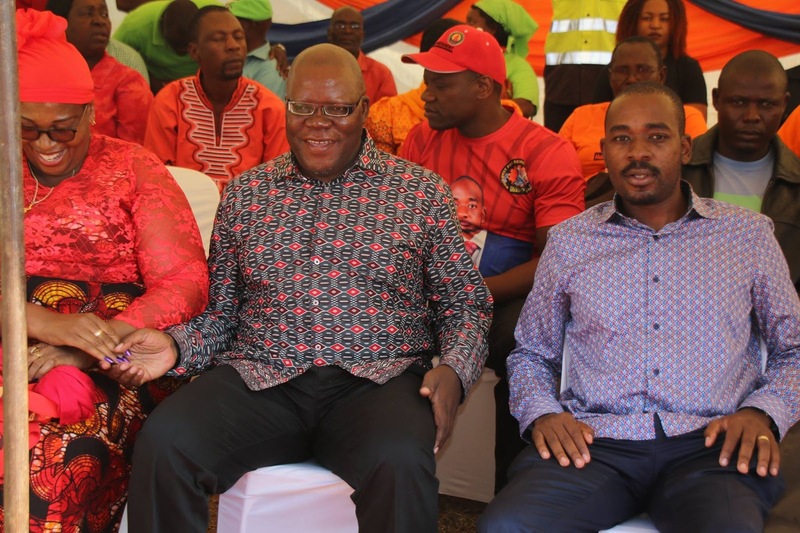 We are yet to see Tendai Biti and other 6 leaders supporters in those alliance rallies. Who are those gentlemen representing and where are their structures? Khupe has more supporters than those parties in the alliance put together therefore MDC T should simple unite and go for it alone. I believe these other leaders in the MDC alliance are figure heads with no support riding on the popularity of MDC T. Can each of the other 6 parties hold their own rallies for their supporters so that we can judge their popularity? They won’t do because they have no people. I can safely conclude there is actually no alliance but individuals trying to resuscitate their fading political careers as they were now irrelevant as far as Zim politics is concerned. They were in the cold, they just want to become members of parliament once again and the only way they can do it is to use MDC T ticket in the name of MDC T Alliance. I remember vividly what Biti said about Tsvangirai and remember well what Welshman also said. Both men said they will never work with Morgan Tsvangirai and his MDC. They called him all sorts of names. The two gentlemen should simply rejoin MDC T because that’s where they came from.